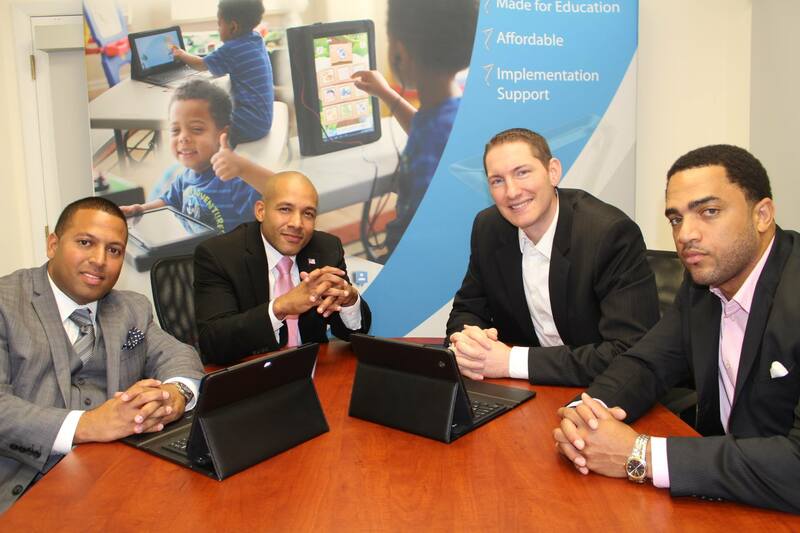 Orlando, Fla. (March 1, 2015) --- Two years ago Orlando-based Quatro Solutions Consulting Group, LLC, ranked as a promising technology startup with an admirable goal: affordable educational software to help underserved students get ahead faster. Today, the Android-powered Quatro eBolt is in full use in 16 states, from Florida to New Mexico, and the breakout company is pitching head-to-head against the biggest names in educational software---Apple and Samsung---and winning contracts. “It’s been exhilarating so far,” said Jose Espejo, chief executive officer of Quatro Solutions Consulting Group. “Our goal was to design an extremely affordable mobile device with the functionality teachers and students need in the classroom and at home,” he said. What started as an idea quickly became a passion. And while passion alone won’t win contracts, passion plus airtight technology is a powerful combination. “Affordability” was the key ingredient to Quatro’s marketing strategy. “Contractors and providers in the education field usually start with the budget. How much can a school system afford? We started from the other end, asking ourselves, ‘just how affordable can we make our product?’” Espejo said. “They said we were crazy to start a company targeting the education industry and even crazier to pick a fight with the world’s largest tablet companies,” Espejo said. Quatro’s eBolt tablets now rank among the most affordable in the industry, with high-powered functionality that can outshine premium tablets manufactured by the industry icons. “Our whole focus is on student achievement,” Espejo said. “We provide superb one-to-one training with teachers and students. We aren’t selling products. We’re selling results,” he said. The Quatro eBolt easily adopts free learning resources, including Learning Apps such as Google Play Store, online educational videos such as Khan Academy, Net Texts, YouTube Edu and others, e-textbooks and Internet access to enhance the classroom experience. “One of the biggest benefits is real-time feedback on how students learn and retain new material,” Espejo said. “With polling apps such as NearPod, teachers can know right away if a struggling student needs extra help,” he explained. Espejo’s biggest reward comes at the end of the day. “What we have found is that Quatro eBolt students are taking ownership of their learning. They can set their own routine, listening to a lecture during homework time at night and using their teacher's guidance to do homework in the classroom during the day,” he said. Best of all, Espejo said Quatro Solutions is having an impact on the future that can’t be measured in dollars and cents. We’re working side by side with thousands of teachers and students. We’re decreasing the digital divide and providing 21st century learning tools that engage and enhance young scholars to reach their full potential. We are helping impact the lives of our future astronauts, engineers, doctors, and teachers,” he said. Quatro Solutions Consulting Group is a client company of the University of Central Florida’s Business Incubation Programlocated in the Central Florida Research Park in East Orange County.